Yesterday, I brunched at Southern Swank Kitchen*, a modern American joint in South Florida. The restaurant decor is highly predictable from the establishment’s name… swanky Southern, surprise surprise. SSK just opened in September 2013, so it’s still a relative newbie in my book. 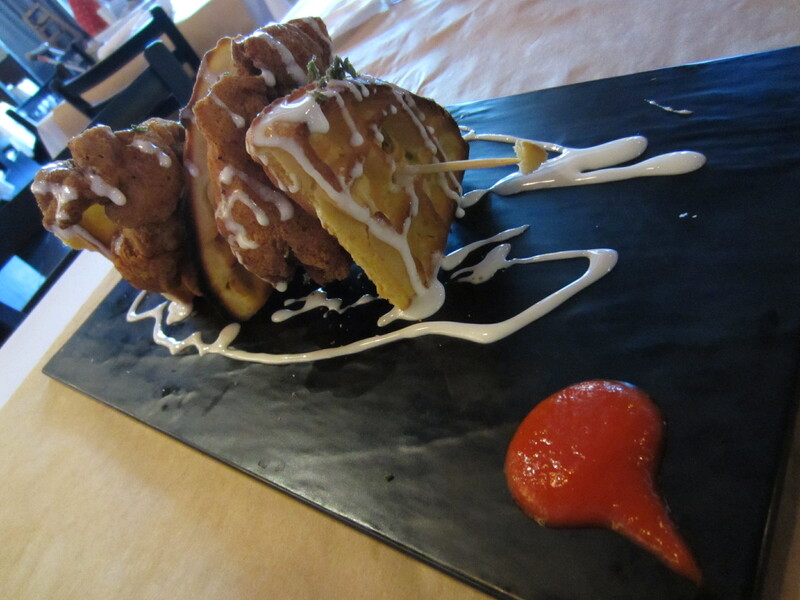 Okay, enough talk about the history of SSK… let’s talk about the food! I ordered Chicken & Waffles off the brunch menu. Chicken thighs FTW! (Clearly, I’m not a huge fan of white chicken meat.) The picture on the restaurant’s website made it look so good I thought I’d give it a try. Not sure what the red sauce on the side is called, but it definitely had a sharp kick. Maybe it was supposed to counteract the marshmallows? *shrug* Either way, I would definitely rate it above the marshmallow-y stuff. Overall, the meal wasn’t super flavorful — super sweet does not count — so I’d have to rate it an “okay” (3 on a 5-point scale) or maybe a “fine” (4) considering its novelty presentation. Slightly disappointing, considering the $16 price point, excluding tax and tip. 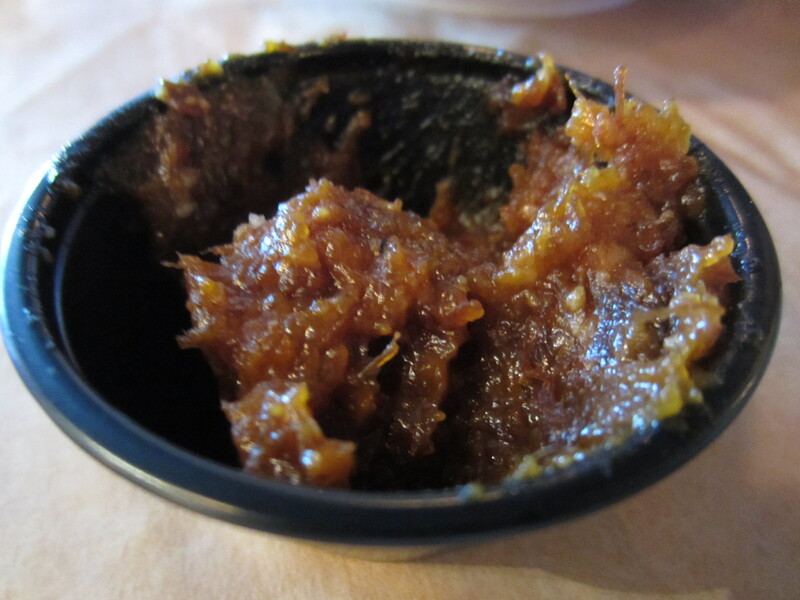 I do need to give a shout out to the bacon jam though, which was delicious and very flavorful. It actually contained small, yet noticeable, bits of bacon. Guess that’s why it’s called bacon jam, right? Try any interesting food combinations lately?